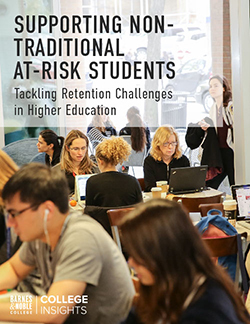 On a frigid February morning, between campus closings, event cancellations and endless snow clearing, Steve Turco and Karen Fallon are at the still busy Barnes & Noble at Boston University bookstore talking about what matters — and why they care. “I think the point is,” Turco says during the discussion, “if you had the opportunity to make a difference with a good business decision, why wouldn’t you?” Fallon agrees, “At this point, it’s really something our customers expect of us. If we weren’t doing it, I think they’d be demanding it of us,” she says. The conversation isn’t about operating in one of the worst snowstorms in recent New England history, or even about a proposed charity initiative, it’s about commerce, and the decision the bookstore has made to stock the kinds of merchandise that not only appeal to the campus and the community, but that also makes a difference — quite a big difference. A “Goods That Do Good” display table in the Barnes & Noble at Boston University bookstore. The collection of clothing and gifts is produced by companies that help under-resourced youth and artisans in Boston and around the world. That first vendor grew to a multiple suppliers, which now comprise the store’s Goods That Do Good campaign; a collection of clothing and gifts produced by companies with a business philosophy that transcends simply making a profit. “It wasn’t hard to find suppliers who operate their businesses in that way,” Fallon admits. “If you shop where our student population shops, you’ll see a lot of campaigns focused around cause marketing. I think the bigger challenge is finding vendors who can not only offer quality and style, but who are also good at communicating; offering transparency about their mission, who they’re helping and why that’s important,” she explains. 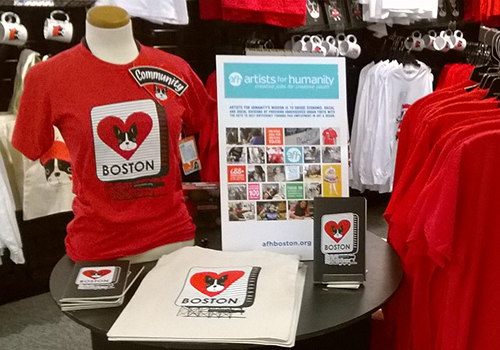 The bookstore program now includes vendors such as Artists for Humanity, a locally-based program providing a range of apparel for the store featuring BU’s Terrier logo, and Chavez for Charity, which designs bracelets in different colors denoting a specific charity. These brands have both attracted interest from students as well as garnered impressive sales. 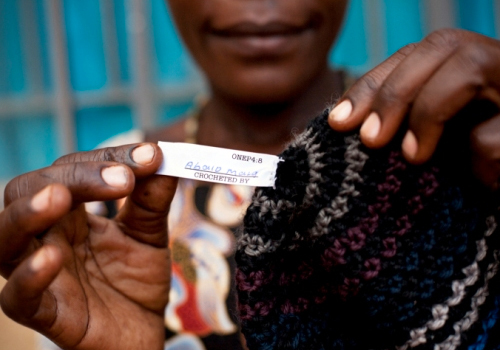 With such a compelling and personal story of how manufacturing their products has impacted the lives of their workforce, Krochet Kids has a particular resonance with the bookstore’s customers, many of whom have responded personally by connecting online with the very women who are making these products. An impactful display featuring photographs of the workers, along with a store video, further explains their stories. 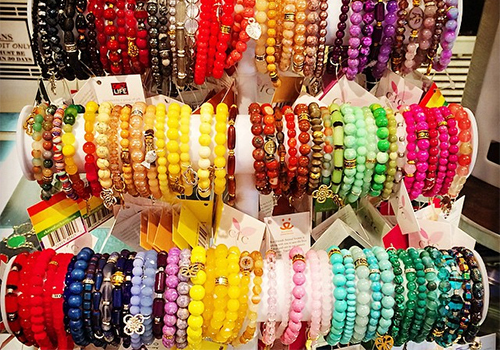 Chavez for Charity, which designs bracelets in different colors representing specific charities, are part of the ‘Goods That Do Good’ program at the Barnes & Noble at Boston University bookstore. Closer to home, Turco says including Artists for Humanity, the largest employer of under-resourced youth in the city of Boston, in their program was a no-brainer for the store. “It’s our opportunity to pay it forward for our own community,” he points out, acknowledging that it also reflects Barnes & Noble College’s philosophy where store managers can act independently on local initiatives that particularly resonate with their campus and community. And Boston is a special kind of community. The city of Boston provides a 60,000 square-foot facility where Artists for Humanity can teach and train high school students — who would otherwise not have jobs — to screen print t-shirts, mugs, journals and bags, and learn from graphic artists, production and marketing experts. 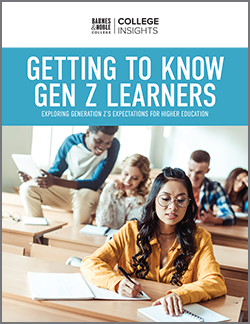 “It’s a progressive city, and with the high concentration of college-age students in the area, there clearly is a desire to help the community,” Turco explains. “People here care.” So much so that the initiatives started at BU have now spread to other area colleges such as Yale, Simmons, MIT, and Harvard.